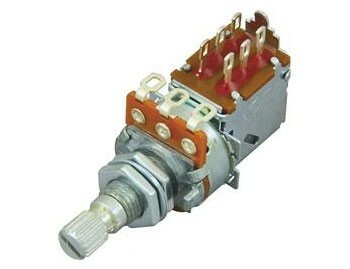 DiMarzio 500K Switchcraft potentiometer with push/pull switch. Audio taper, knurled split-shaft. This guitar pot works for coil-tap or phase wiring options. Short shaft. 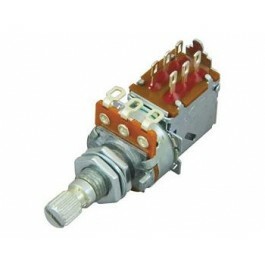 DiMarzio 500K Switchcraft potentiometer with push/pull switch. Audio taper, knurled split-shaft. This guitar pot works for coil-tap or phase wiring options.